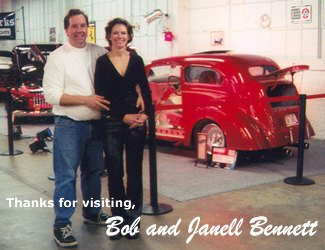 The story of Bennett Coachworks is the story of Bob Bennett's life-long fascination with magnificent machines and dedication to impeccable craftsmanship. 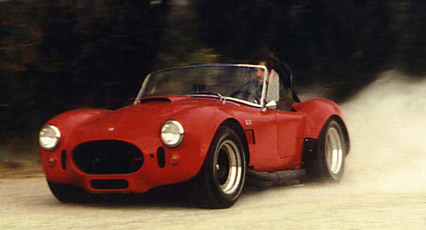 In 1955 in Indianapolis, Indiana, Bob was born to a family comprised of mechanics, machinists, and serious racing fans. It was not uncommon to find him assisting an uncle on a paint job or perhaps cleaning engine parts for his grandfather before he was 7 years old. Attending his first Carburetion Day at The Indianapolis Motor Speedway when he was only 5, Bob was taught the virtues of turbo charging by a grandfather who was an R & D machinist for Schweitzer Turbo when they were doing machine work for "Novi" race cars and "Turbo Offies". Street racing in the '60s in Indy was HOT. The steady influence of family members with hot rods and the Indy environment made a deep impression on Bob, one which lasts to this day. Voted "Most Likely to Race at Indy" by his 8th grade class, he taught adult night classes in auto mechanics for a local Tech College while he was still in high school. But you can't forget about the drag strip. Bob allegedly (they never proved he did it) painted one on the north end of a little used road running past the gravel pit near his home. This handy little performance playground was documented in several newspapers and some radio broadcasts as well. He paid his way through college by restoring a private Corvette collection few collectors can even imagine. 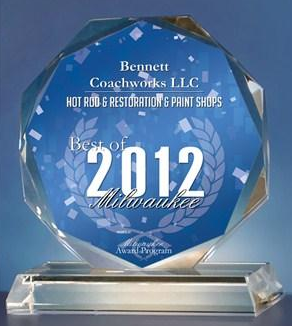 Now, and for 32 of the last 37 years, Bennett Coachworks is where Bob builds and restores cars. Be it a lifetime-dream fulfilling street rod or an international concours winning Italian exotic, Bennett Coachworks has done them all, and continues doing so to the delight of collectors of vision and taste. In short, if it involves cars and a passion for excellence and it requires restoration, maintenance, construction or any combination of these services, rest assured that Bennett Coachworks can service your needs. Our talented staff is at your service. Please peruse our web site and if we can be of service, email or call us.